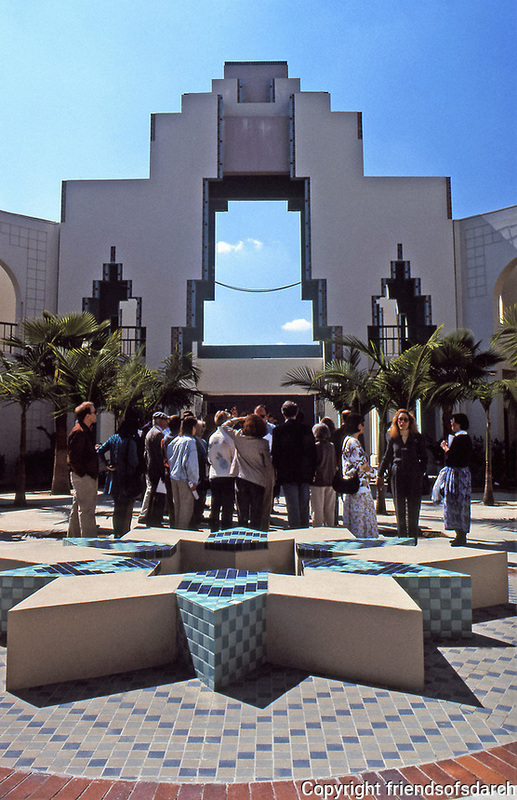 Chalres Moore: Beverly Hills Civic Center. Courtyard with Art Deco features. Photo--July 1991.